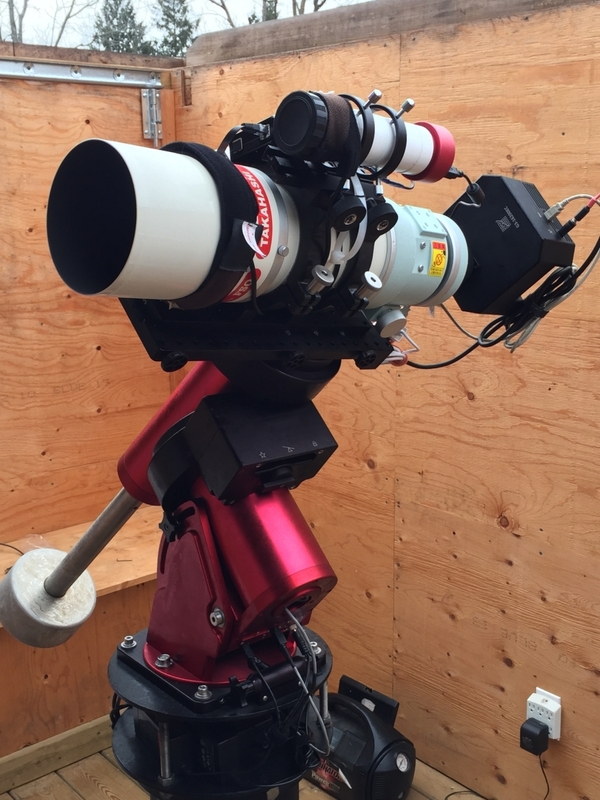 In November 2016, I mounted my new 4″ Takahashi refractor on my Paramount MX equatorial mount. The camera is a Moravian G3-16200EC on loan from O’telescope.com, fitted with H-alpha, O-III and RGB filters from Optolong. The telescope operates at a native 530mm (f/5) or 387 mm (f/3.6) with a focal reducer. 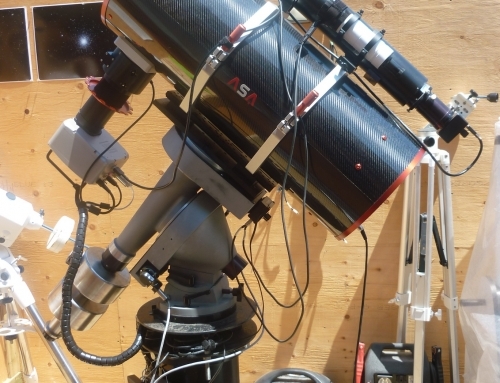 Riding atop the main scope is a a small guide scope with QHY5 guide camera. The Paramount MX mount is controlled with TheSkyX software. 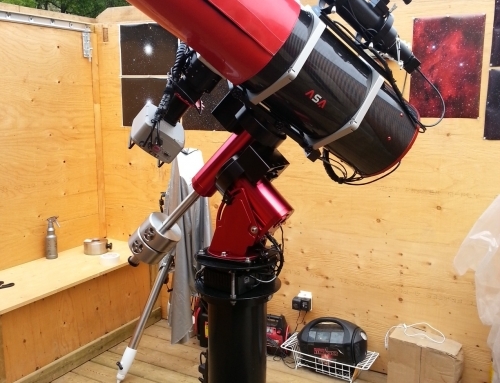 In installed an Optec focus motor and controller on the scope. I use CCD Commander to automate imaging.